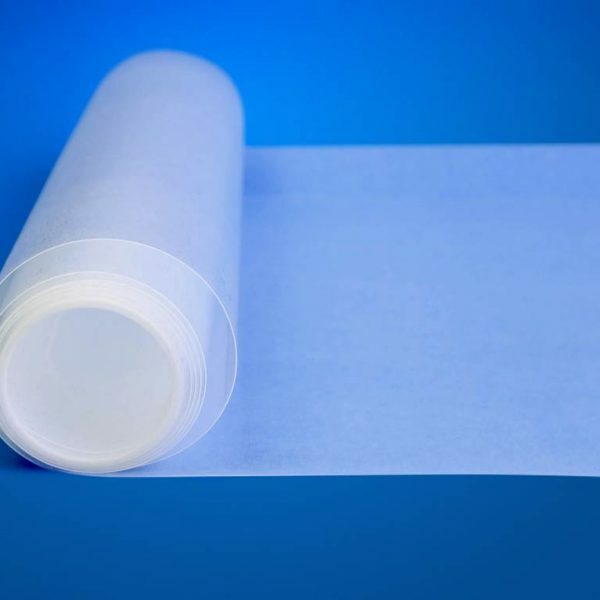 This FEP film is 127 micron / 0.127 mm / 0.005″ thick and has a width of 1220 mm. Please fill the length and quantity for a suitable offer. This FEP film 0.005″ will be cut to the width of the roll (1220 mm). This way we have less wast material and is this cheaper than the cut to size option. Looking for a full role FEP film 0.005″? That is also possible, these are 25 kilos. Please contact us for a quotation. 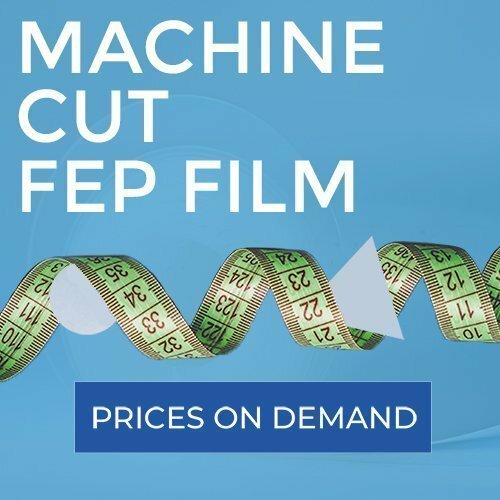 While cutting the film manually, we check if the FEP film has irregularities or wrinkles and the dimensions will be at least the ordered size. FEP non-stick sheet is a very good alternative to PDMS and silicone to use as a bottom for a Flex vat. A Flex vat with a FEP bottom has a durable release surface that is easy to keep clean. This film is also often used as a release film for molds. The combination of unique properties make FEP suitable for a variety of applications. If you wish a more complex shape, we can offer that as well. We can make the film bondable by etching it of we can weld the film to make big sheets. Within the Holscot group we have many years of experience with manipulating FEP films, please let us know if you have need for a more complex shape.